This Father’s Day celebrate your dad with a day together under the warm sun, bonding over birdies and bunkers. Take your Dad out for a round at some of the best golf courses in Tampa this Father's Day! Nationally recognized as a type ten course, Westchase is well known as one of the most beautiful public access courses in the Tampa area. 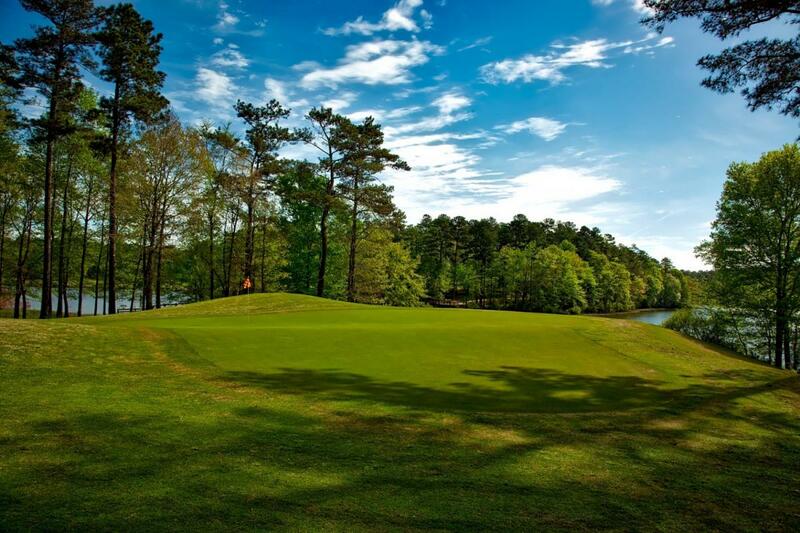 The 213-acre course plays out alongside wetlands, so look out for natural beauty and wildlife. While the course is meant to be challenging, four sets of tees accommodate golfers of all skill levels. Dads just starting out through pro level players will enjoy this course. Finish off the day with a meal at The Westchase Grill to say an extra ‘thank you’ to your dad. Tee times start at 7:15 a.m. and end at 6:30 p.m. with prices starting at $38 in the morning and decreasing through the day to $20 at 5:30 p.m.
You’ll get your choice of courses at Saddlebrook: the Palmer Course and the Saddlebrook Course, though you should let dad choose. The Palmer Course resembles a New England course, where level ground is rare. Hills and breezes make accuracy difficult on this challenging course. The Saddle Brook Course is the more relaxing, taking golfers past cypresses hung with Spanish moss and blue herons standing sentry in the water. After a fun round of golf, enjoy a fine meal at one of the resort's restaurants: Dempsey’s Steakhouse, Dempsey’s Too or TD’s Sports Bar. Tee times start at 7:30 a.m. and end at 4:20 p.m. with prices varying from $35-45. For any Dad's who seriously love golf, their Father’s Day Sunday will be made perfect by a round at TPC. Just imagine playing golf with your dad at the course where champions play. You may not want to play at the champion’s level and that’s already been taken care of. A variety of teeing areas allows the course to be played from different distances and letting you play well within your game. Fill up with dad at ¡Cuatro where Florida’s freshest ingredients are served at breakfast, lunch and dinner. Tee times start at 7:30 a.m. and end at 6:30 p.m. with prices varying by time from $79-109. Show your dad how awesome he is with brunch and a round of golf to burn off all the calories. Brunch at Summerfield Crossings includes omelet, waffle and carving stations, biscuits and gravy, French toast, corn beef hash, chicken marsala, blackened tilapia and plenty of desserts. After brunching, head out to the Scottish-link style course and play a round. You can look forward to their signature 15th hole, surrounded by water and a challenge to novice and expert players. Brunch is from 9:30 a.m. to 2:30 p.m. and is $22.95 per person. Tee times start at 7 a.m. and end at 6 p.m. with prices averaging between $25-35. If your dad isn’t the best at golf, or isn’t into walking the course, there’s a better option with Topgolf. Their Father’s Day special gets you and Dad one bay for two hours of golf that can be shared by six people. You’ll even be given VIP treatment upon your arrival. Let dad try his swing with no fear of hurting anyone, and even get the younger kids into the action. Packages are available on June 16 and 17 from $75-140. Reservations fill up quickly, so make yours today. Head out to your favorite golf course and make some memories with your Dad with Father’s Day. Keep checking back for more things to do on Father’s Day and subscribe to 813area.com to keep up with everything in Tampa!